ASOS – today is the last day to get 30% off EVERYTHING on the site! 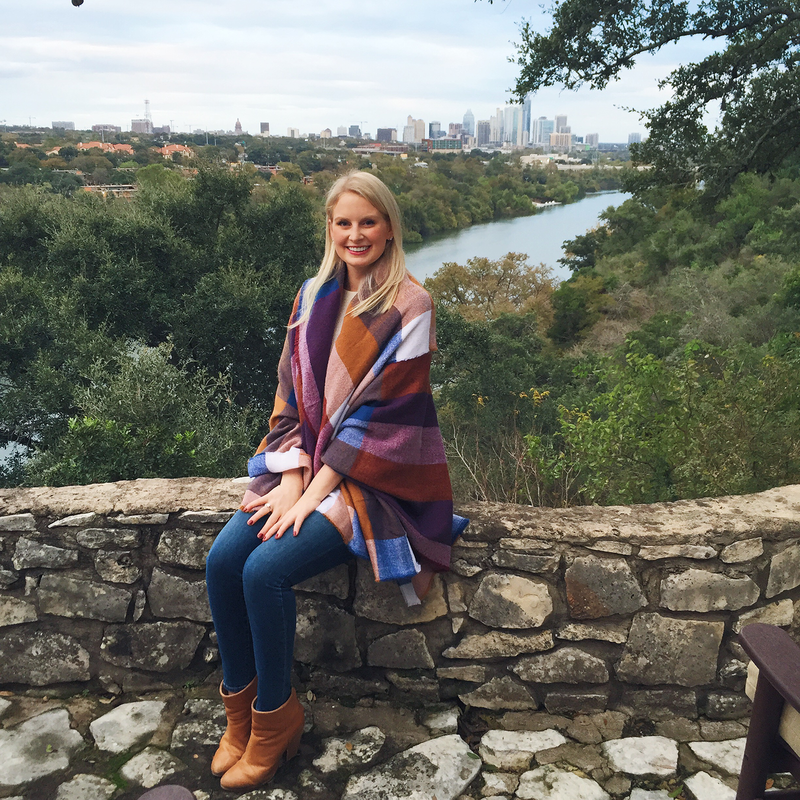 Pick up this gorgeous oversized plaid scarf for only $23, this cozy off-the-shoulder sweater for only $50, or this fab sequined NYE dress for only $107. Enter code BLESSED at checkout. Barney’s New York – take up to 40% off select styles from your favorite cutting-edge designers. Don’t miss this Lanvin leopard-print bag or this cozy Chloe coat! BaubleBar – get 35% off when you buy two or more pieces of jewelry with promo code GOGIFT35! These tassel earrings would be perfect for any party. Forward by Elyse Walker – the Designer Sale is now up to 80% off!!! Don’t miss this one, ladies. INTERMIX – get 30% off select full-priced items! Discount applied at checkout. J BRAND – enjoy 30% off sitewide with code CYBER2015. 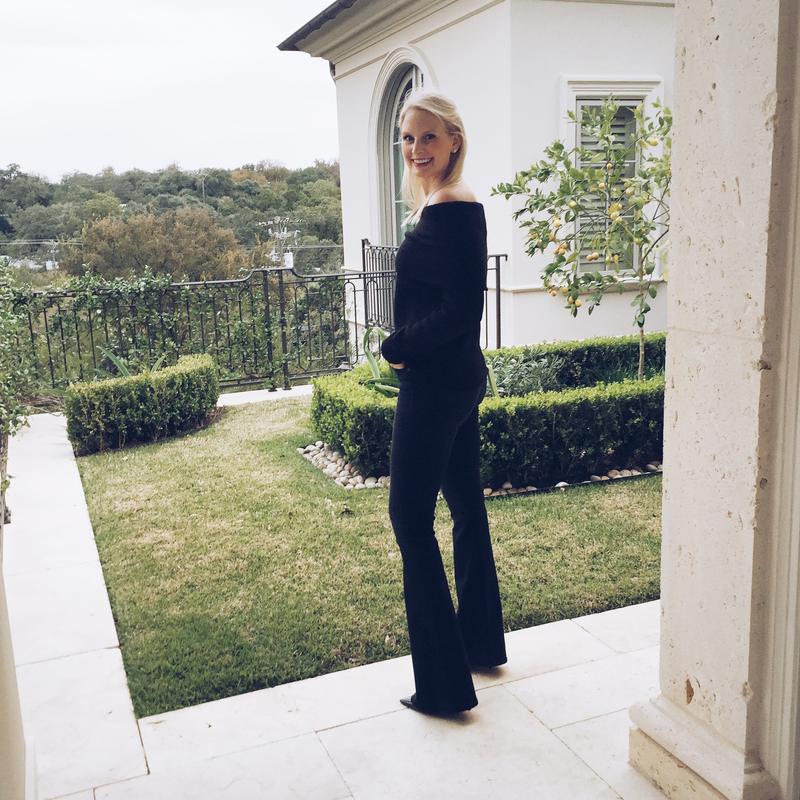 Pick up my favorite pair of clean black skinnies! J.Crew – take 40% off a large selection of styles and 30% off everything else! I’m snagging this simple cable turtleneck, this pair of earrings for NYE, and this pair of flannel Christmas pajamas. Enter code MONDAY at checkout. Matches Fashion – shop the fall-winter sale and enjoy up to 50% off designer favorites like this jewel-toned Proenza Schoulder clutch, this Helmut Lang camel coat, and more. Moda Operandi – today’s the final day to purchase those luxe, must-have sale items for an additional 30% off! Enter code EXTRA30 at checkout. Neiman Marcus – earn up to a $500 gift card when you spend today! Enter code GC4YOU at checkout! I picked up this reversible shearling vest in black on major sale as a Christmas gift to myself. So amazing! NET-A-PORTER – the End of Season Sale is still going strong, with up to 50% off! This cozy tie-waist cardigan, this holiday-ready Dolce & Gabbana number, and these classic black Givenchy sandals are just a few of the new additions to the sale. 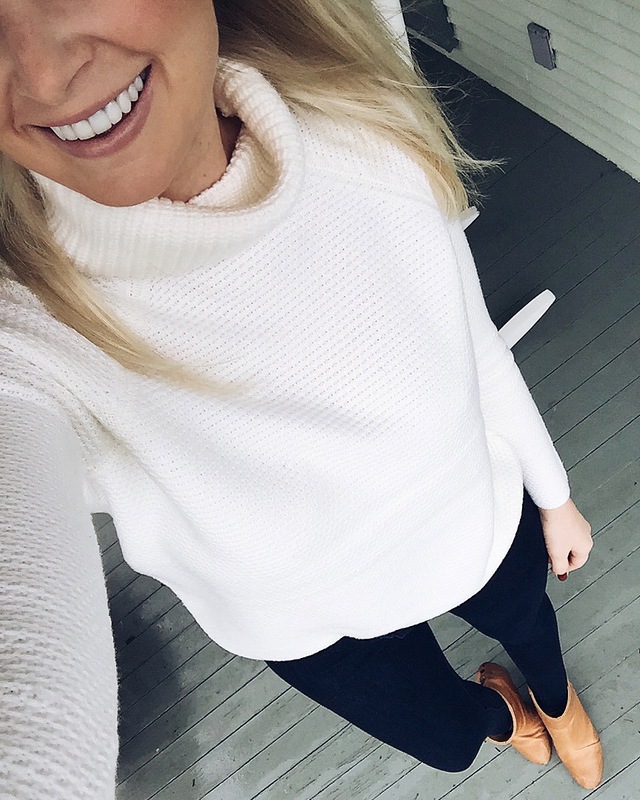 Nordstrom – this is the perfect time to stock up on wardrobe staples like this $37 cozy turtleneck, or these clean white jeans for only $126…and don’t forget about Designer Clearance! Shopbop – today is the last day to save up to 25% on your purchase! Enter code GOBIG15 at checkout! Includes all full-priced and sale items! SSENSE – shop designer duds up to 50% off, no code needed! These bright Kirkwood flats are in my cart for spring! Also, don’t miss these sick Lanvin suede boots. Classic! Tory Burch – receive 30% off your purchase when you spend $250 or more! Stock up on cozy, comfy basics like this ivory turtleneck, this grey knit and this soft blue sweater (all already marked down!!). Just enter code THANKS at checkout! 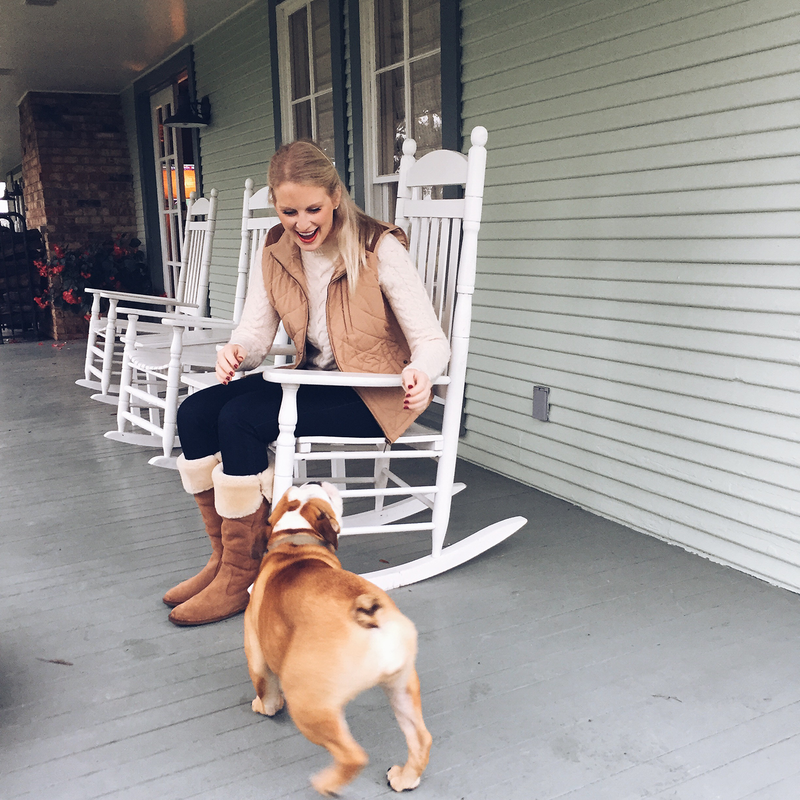 Loving all your cozy pieces and sweater! Love that off the shoulder/flare jeans outfit! So pretty! Such a great round up Merritt! 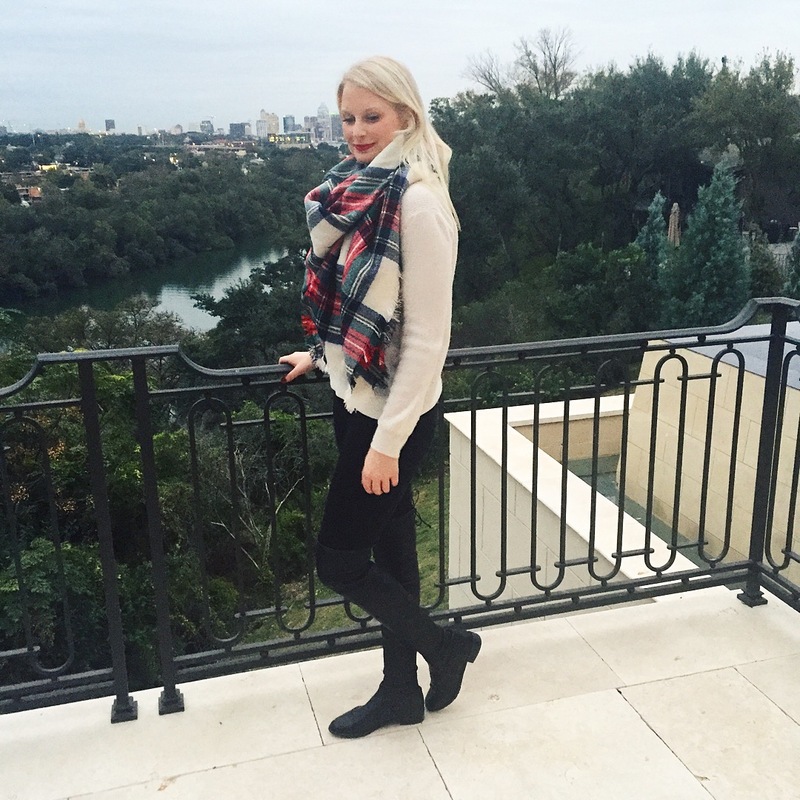 Loving your cozy scarf! Hope you had a great holiday weekend! Happy Cyber Monday! So many great Instagrams and so many great sales! Love that scarf. I love all these looks, especially your black flares & off the shoulder top. The pup is so sweet! Is he or she yours? Where did you take the picture with Austin in the background?